Preparations have already begun for England’s Euro 2016 campaign with many friendlies lined up for the Three Lions. Roy Hodgson’s side was drawn into Group B alongside Russia, Slovakia and Wales. With the season slowly drawing to a close, players are still fighting for a chance to represent their nation in France. Despite Jack Butland stating that he can stake a claim for England’s number one jersey, it is widely expected that Joe Hart will remain Hodgson’s first-choice between the sticks. 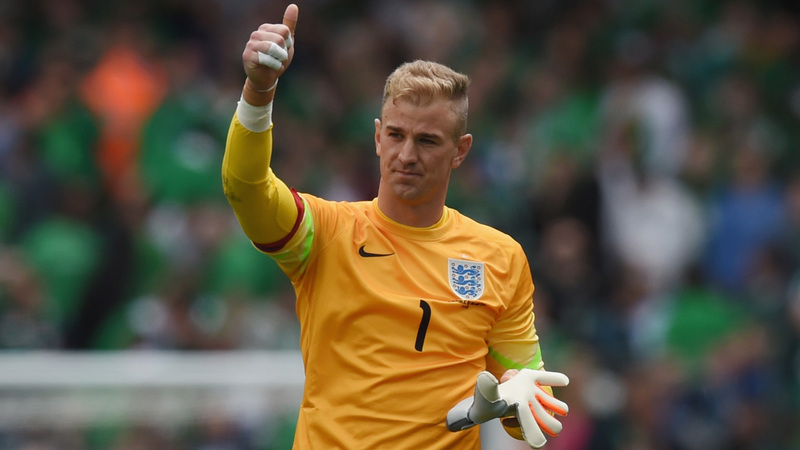 Despite currently being ruled out with a calf injury, Hart should recover in time to take his place in net. The Manchester City keeper has kept 13 clean sheets this season and will look to build on his 57 England caps. Butland should have also secured his place on the plane following an impressive season with Stoke. The Potters are currently in ninth position in the Premier League and have England’s youngest ever goalkeeper to thank for a majority of their good performances. Burnley goalkeeper Tom Heaton was called up in Hodgson’s latest squad mostly due to injuries to the likes of Ben Foster. However, if the West Brom keeper cannot recover from his injury problems, Heaton could make the cut. Fraser Forster will provide stiff competition though as the former Celtic stopper has been in sensational form since returning from injury. Norwich stopper John Ruddy is an outside option but would only make the squad as a last resort. Surprisingly, Hodgson has doubts over the right-back position for the England squad. In my opinion, Liverpool’s Nathaniel Clyne should be the number one defender in that position after a solid start to life at Anfield. 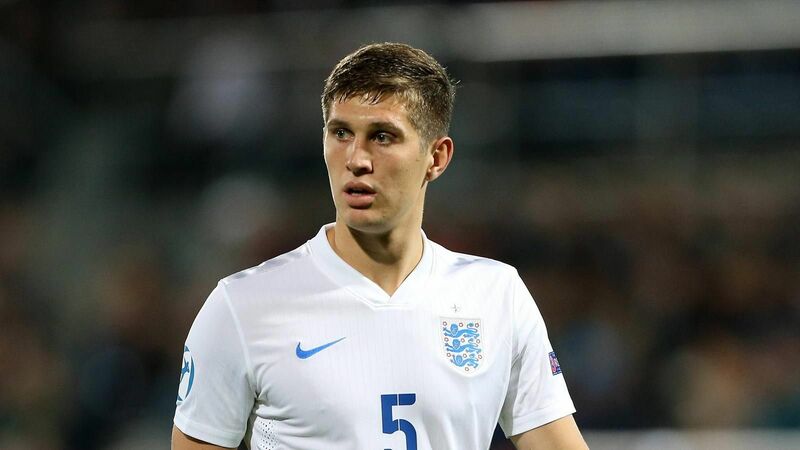 Hodgson is not convinced by the former Southampton man and has suggested he could use John Stones in that position. However, Clyne should still make the trip. Tottenham’s Kyle Walker has more international experience than other options available and despite some unconvincing performances should also travel to France. Arsenal’s Calum Chambers is another option available to Hodgson and has made four appearances for the senior side but was moved back to the Under-21 squad last March. Another option at right-back is Kieran Trippier who has impressed under Mauricio Pochettino and could rival Walker for a seat on the plane. Crystal Palace’s Joel Ward is another option should injuries force Hodgson to re-assess. The form of Manchester United defender Chris Smalling has guaranteed the defender a place on the plane. Smalling has excelled at the back for the Red Devils and should be England’s first-choice centre-back. His potential partner could be Everton’s John Stones. Stones has not hit the heights of last season but still remains a vital part of the England’s plans whether at centre-back or at right-back. However, Chelsea defender, Gary Cahill, is favoured by Hodgson and could rival Stones for a starting berth. Cahill is England’s deputy captain and will be guaranteed a ticket to the tournament. An injury to Phil Jagielka gave Smalling a chance in the squad last year and the Everton defender has not been able to win his place in the side back. Jagielka should travel with the squad as back-up after some performances as stand-in captain for the Three Lions in recent internationals. Despite playing an important role in England’s Euro 2016 qualifying campaign, Phil Jones remains out of the reckoning for a starting berth. However, Hodgson is a fan of the former Blackburn defender’s versatility meaning he could travel as back-up for multiple positions. Scott Dann’s England hopes were dented even more as the Crystal Palace defender was overlooked yet again in the most recent squad despite some impressive performances under Alan Pardew. Injuries could force Hodgson to look at Ryan Shawcross who stands an outside chance of making the cut even though he has been one of the most consistent players in the league this season. Manchester United’s Luke Shaw was set to be England’s first choice left back at Euro 2016 before a double leg-break against PSV in the Champions League cruelly ended the youngster’s season. It will be interesting to see who takes the former Southampton man’s place in the side. Both Leighton Baines and Kieran Gibbs were ‘deliberately ignored’ in Hodgson’s latest England squad as he wanted to assess other options in the position. However, the former Liverpool boss conceded he was aware of their talents and did not rule out their inclusion in his final squad. Included in the starting eleven against Germany, Danny Rose was labelled the best English left-back by manager Pochettino. His inclusion in the squad for the upcoming friendlies means Hodgson has noticed his impressive form for the Lilywhites and could be tempted to give the 25-year-old a chance at the expense of Baines. Ryan Bertrand was also included in the squad and gives another option in defence. He faces stiff competition for his place in the side but an impressive end to the season with Southampton could see the youngster earn a seat on the plane. Hammers defender Aaron Cresswell was another West Ham player to be overlooked once again which means he remains an outsider to be included. Be sure to look out for part two where we assess England’s midfield and forward options!